Or, is the Royal Oak in a league of its own? When it comes to high-end luxury sports watches, the Audemars Piguet Royal Oak is perhaps the timepiece that kick-started the trend. The timepiece, which was designed by the legendary Gerald Genta, shocked the industry when it debuted in 1972. The rest, as they said, is history. The Royal Oak had not just changed the fortune of Audemars Piguet, but it had completely reinvented a new category of timepieces: Luxury Sports Watches. Over the years, many brands had offered their own interpretations of luxury sports watches. Some of them went on to become icons, while the rest simply languished beneath the shadows of the former. In this week’s article, we will be looking at some of the luxury sports watches that can be considered as alternatives to the Audemars Piguet Royal Oak. What have we selected? Let’s find out! 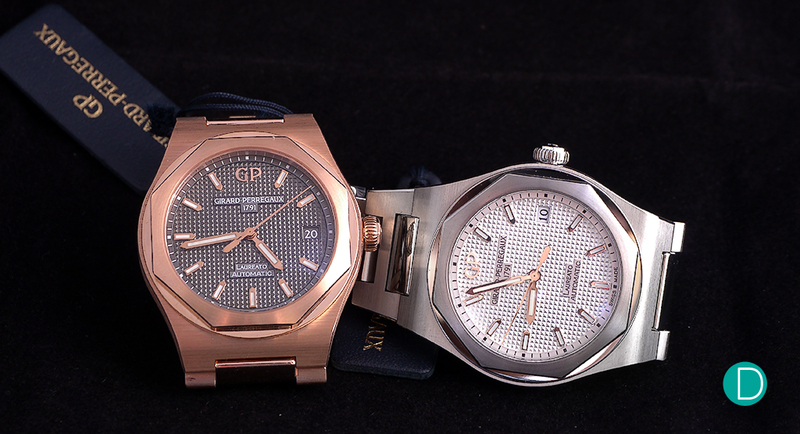 The Girard-Perregaux Laureato, in various variants. We begin the article with one of the luxury sports watches (or even brand) that has been overlooked by many: the Girard-Perregaux Laureato. The Laureato collection made its comeback in 2016, following a hiatus after its initial debut in 1975. Incidentally, 2016 was also the 225th anniversary of the Girard-Perregaux brand. The watch remains faithful to its original design, in which the octagon and circle bezel was inspired by a Florence cathedral named Santa Maria del Fiore. The other design cues for this piece includes the tapisserie dial, as well as the integrated lugs and bracelet. Many have thought that the design was also Genta, but it is not. The Laureato was designed by an Italian Architect (neither we nor GP know the name, our Chief Editor corresponded to Stefano Macaluso, the son of Gino who owned the company then, and this was his response). The 42mm timepiece is fitted with GP’s Calibre 1800. This is a self-winding movement, with a decent power reserve of approximately 54 hours. Its finishing is pretty well done, with many different finishing techniques applied. The base model is priced at S$15,300, and we reckon it might be something interesting for someone who is looking for a luxury sports watch that is a tad different from the crowd. When it comes to Piaget, the Swiss luxury watchmaker is known to produce incredible ultra-thin movements and classy dress watches (think Altiplano). The all-new Polo S line-up, which was based on the original iteration in 1979, is Piaget’s attempt in recent years to appeal to the younger collectors. The 42mm timepiece is classy, and that makes a very nice dress watch as well. This is all thanks to its simple design, with a rather thin case profile at 9.4mm. The dial is minimalistic, devoid of anything unnecessary. The only qualm for this piece, perhaps, is how similar it is to the form and visual of the Patek Philippe Nautilus. Powered by the Calibre 1110P, the Polo S features a date indicator at the 6 o’clock position and a power reserve of around 50 hours. The finishing is decent, which reflects its slightly lower price point. 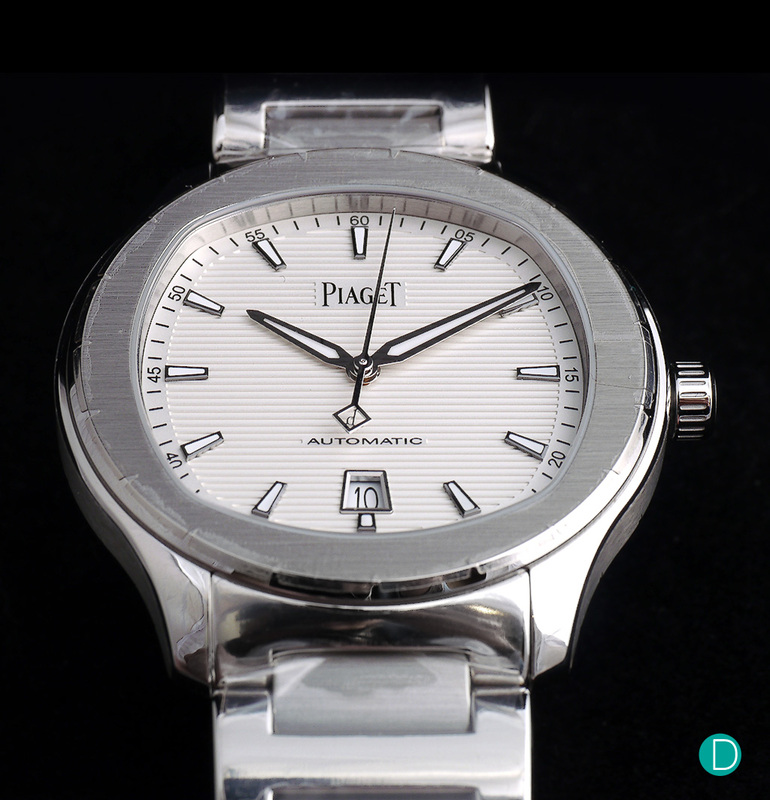 The Piaget Polo S retails at US$9,350 (approximately S$12,266), and again it is probably a choice for someone who is looking for an uncommon entry-level luxury watch. A bold and masculine watch, the Bulgari Octo is a beautiful watch with great finishes. 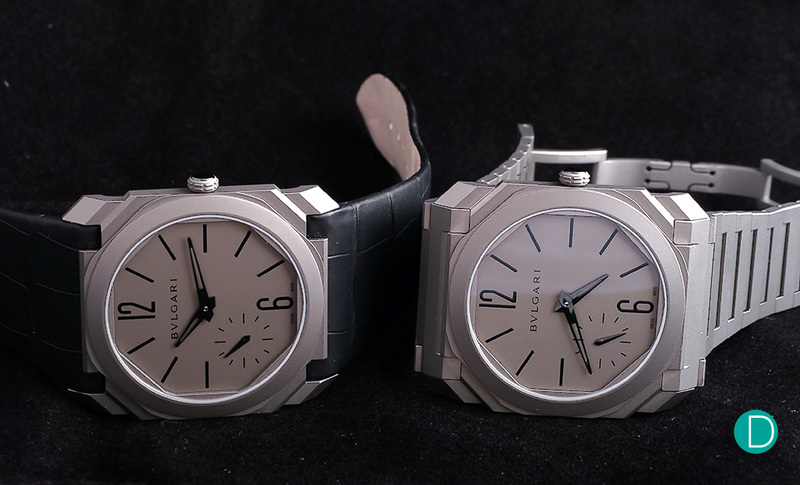 Over the last few years, Bulgari had constantly impressed us with its Octo collection. It relentless pursuit of making ultra-thin watches had yielded some interesting results, and these pieces had certainly differentiated itself against some of the counterparts in the same category. The 40mm Octo Finissimo Automatique, which was launched last year, is one of our favourite pieces from Bulgari just yet. While there are many other more complicated pieces (such as the Octo Finissimo Tourbillon and the Octo Finissimo Répétition Minute), we pretty much like the clean and sophisticated looks of the Automatique itself. Besides, the price point is also much more accessible, and that its simple aesthetics really brings out the case and bracelet construction (which we reckon is the main attraction of this piece). The Finissimo Automatique is cased with Bulgari’s Calibre BVL138. The self-winding movement comes with a platinum micro-rotor, and it has a power reserve of around 60 hours. This is even more impressive considering that the movement is only 2.23mm thick – which is even thinner than Piaget Altiplano’s record of 2.35mm. Finally, this incredible titanium timepiece is available from S$17,700 onwards (with the leather strap option), and we feel that this is excellent value for an ultra-thin luxury sports watch which is constructed beautifully and coupled with excellent finishing. 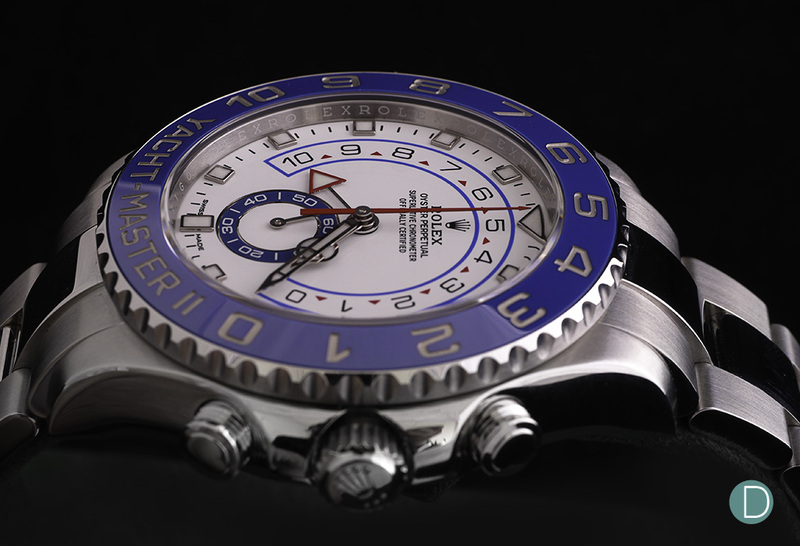 The Yacht-Master II retains excellent functionality for a complex countdown sequence required of a regatta timer. But is also useful for more mundane tasks like timing for cooking pasta, egg, or even hand pulling an espresso. This Rolex perhaps is an odd-child in the list. The watch, which was only introduced in 2007, does not have an extensive provenance as compared to the rest of the pieces in the list. More importantly, its design is different from the rest of the pieces here. The latter might be a good thing though. While the Yacht-Master II is strictly-speaking a timepiece that is used for the yacht-racing (due to the presence of the regatta countdown function), we still do consider it as a luxury sports watch due to the fact that (i) it is used for sporting activities (although on the same note, the likes of the Nautilus nor the Laureato is used for any sporting activities), and (ii) the price point puts it in the league amongst the usual suspects. This particular Rolex is fitted with the in-house Calibre 4161, which is based on the Calibre 4130 that is used in the Daytona. The watch, as mentioned, features a regatta countdown function, and it is adjusted to the meet the Rolex chronometer specifications of +/- 2 seconds a day. The 44mm timepiece is priced at S$25,120, and we feel that it is an interesting option for someone who wants a Rolex that is atypical from the rest. 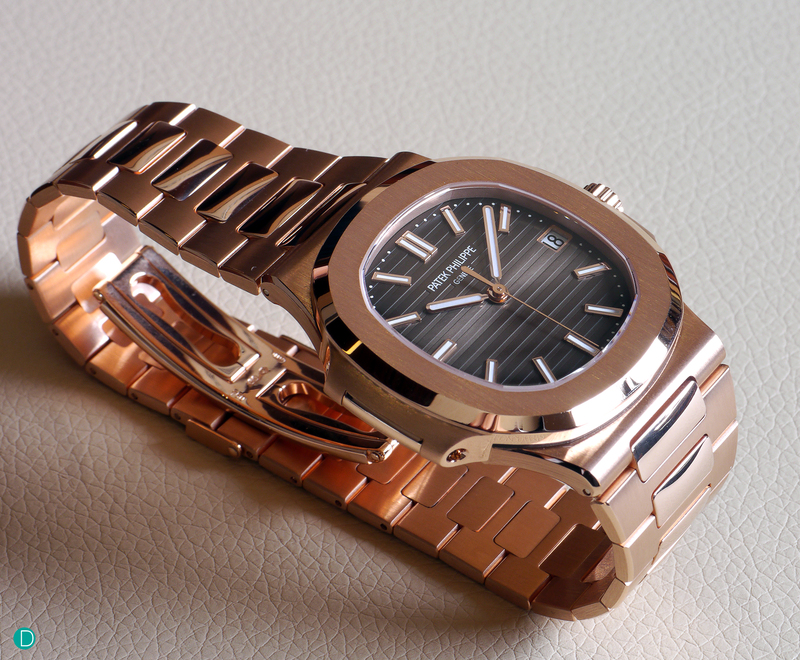 The Patek Philippe Nautilus is perhaps one of the most recognised timepiece in the category, aside from the Royal Oak. Launched in 1976, the Nautilus – which was Patek Philippe’s answer to the Royal Oak – is an odd-child from a rather conservative watch manufacturer. Also designed by Gerald Genta, it quickly became one of the brand’s most sought-after timepieces. The Nautilus is available in multiple case materials and complications, such as the date with moonphase (Ref. 5712), chronograph (Ref. 5980), and the perpetual calendar (Ref: 5740). Intriguingly, the most popular model within the collection is the base model (Ref. 5711). The timepiece, in stainless steel, which features its signature horizontally embossed dial (in blue, no less), is said to have a long waiting list in boutiques and authorised dealers. Prices of the Nautilus collection begins at S$39,300 for the Ref. 5711 in stainless steel, and it goes up to S$156,800 for the Ref. 5740 in white gold. While the Patek Philippe Nautilus is certainly not the first-mover in this category, but we reckon that they do not even need the first-mover advantage after all. 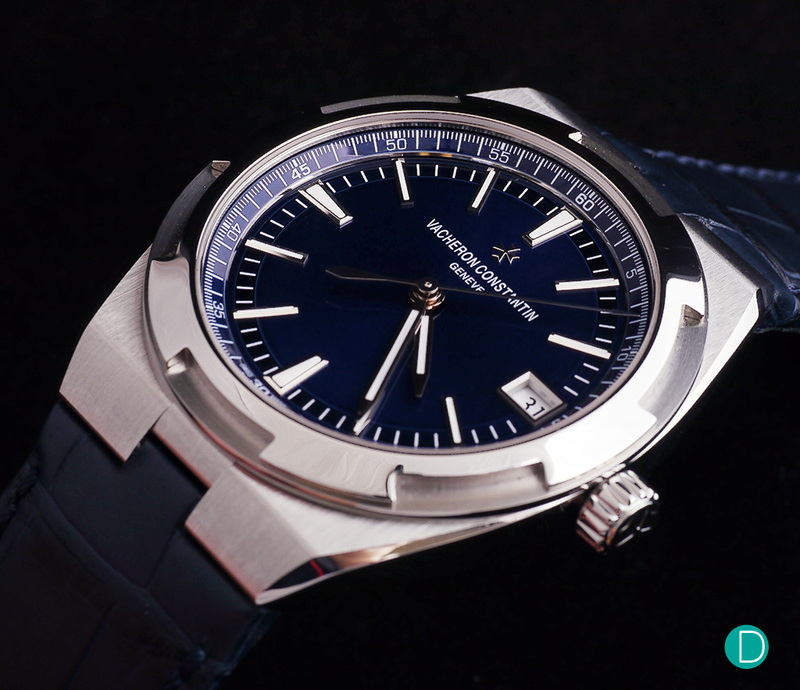 Vacheron Constantin Overseas 4700 in steel and a gorgeous blue dial. When it comes to comparing both the Nautilus and Royal Oak, the Vacheron Constantin Overseas should never be left out in the conversation. After all, the Geneva-based watch manufacturer is part of the “Holy Trinity” of Swiss watchmaking, and the new Overseas certainly gives the other two a good run for their money. The originals were also from the same era as the Royal Oak, and was designed by Jorg Hysek. The new Overseas collection, which was launched in 2016, had certainly impressed many collectors and journalists alike. The new design is simple, and yet it exudes a sense of class and elegance. In addition, the other bits that caught our attention include the new quick strap change mechanism, as well as the improved in-house movement. The end result of the new collection is simply immense. There are many variations and complications within the Overseas collection. Our pick would be the base model with the date complication, as seen in the picture above. We reckon the simple dial design brings out the design elements of the timepiece, such as the Maltese-cross bezel and the multi-faceted watch case. This particular timepiece is priced at S$30,800, and it includes three different strap options (the metal bracelet, leather strap, and rubber strap) in the package. 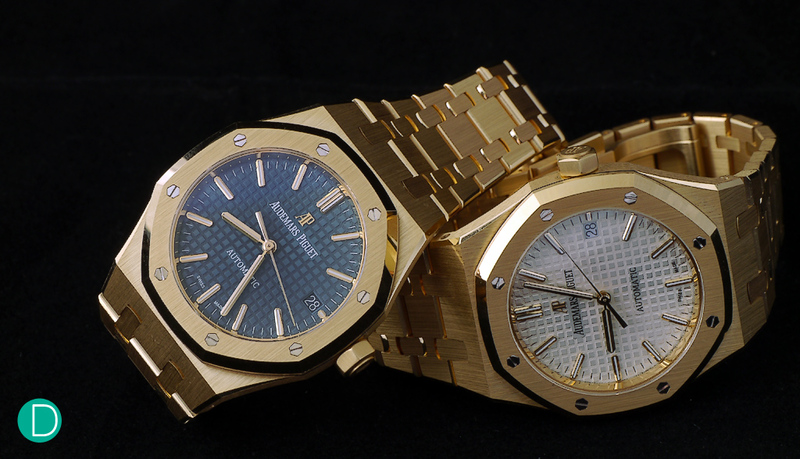 A pair of Audemars Piguet Royal Oak 37mm Automatic in yellow gold. In this week’s article, we have shared six different luxury sports watches that are considered as alternatives to the Audemars Piguet Royal Oak. While they are definitely fans of the Royal Oak, as well as one of those six watches that we have mentioned, it is rather difficult to quantify which is better than the other. However, we feel that the Royal Oak stands out for one thing, and that is its provenance. There is no way to dispute that it was Audemars Piguet who had first came up with the audacious idea of producing a stainless steel sports watch that is priced the same, if not higher, than a gold timepiece. The design is very bold as well, and credits should be given to Audemars Piguet for having the guts to produce such an unusual timepiece at an incredulous price point (and Gerald Genta for designing this watch). In addition, the context of the story is that Audemars Piguet was in financial difficulties back then. This makes it even more remarkable – it is the Royal Oak, which is seemingly a high-stakes gamble, that saved the company from insolvency. On top of that, the Royal Oak collection is extensive. It is available in a variety of style, case material, and complications. This includes the base stainless steel model (Reference 15400), to the white gold Grande Complication variant (Reference 25865). There is simply something for everyone. So, what are some of your favourite luxury sports watches? Would you prefer buying a Royal Oak, or one of the six alternatives that we have selected? Let us know in the comments section below!